An Interface plays a huge part on any MMORPG. Because people may not realise it but it is the one aspect of the MMORPG that they will look at the most. An Interface is what helps players keep track of skills, items, health, mana, experience and various other stats. And having a good Interface can really affect a players opinion of an MMORPG as a whole. Every MMORPG focuses a lot on its Interface in order to help create an atmosphere and the right feel of the MMORPG. 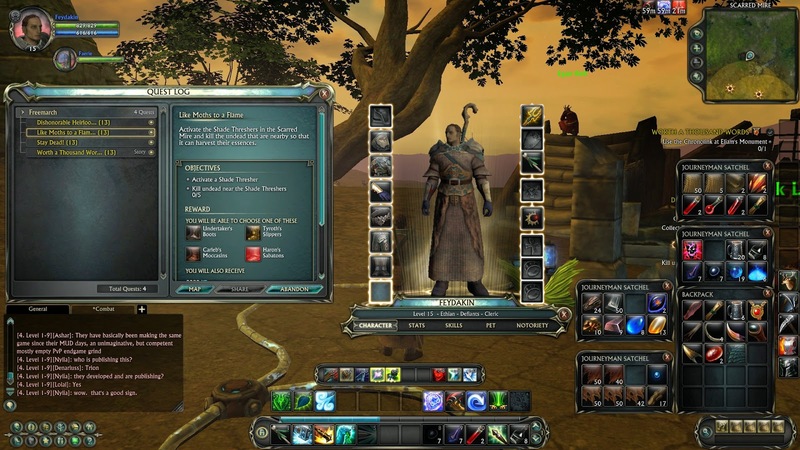 Also many MMORPGs now allow people to customise their interface in any way they like such as the sizes, the positions of the buttons and features on the screen and the overall colour of the interface. Which is great because it lets people adjust the interface to make it more comfortable for them and to suit their play style. Thus allowing players to create their own perfect interface. Overall I think the interface is possibly the most important aspect of any MMORPG and every MMORPG that decides not to allow players to customise their own interface, has to think very carefully about it in order to capture the feel of the MMORPG and to appeal to the majority of the players.